For 28 years, December 6 has been a day that is forever etched in our minds. It was on December 6, 1989, that 14 innocent women were murdered at the École Polytechnique. Once again, the FIQ commemorated this day and participated in the various activities held in honour of these women. The delegates in attendance at the Convention, held from November 27 to December 1, took a moment to remember the École Polytechnique victims. 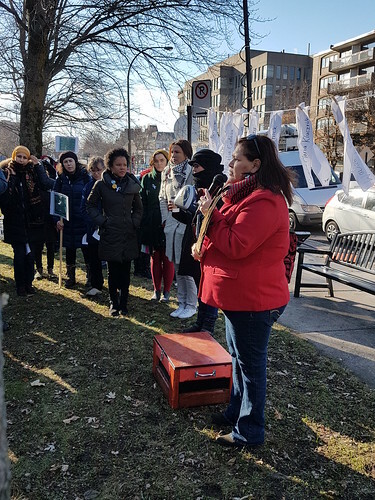 Shirley Dorismond, the new vice-president and joint-officer for the Status of Women Sector, spoke a few words to commemorate December 6, 1989. Union reps and employees participated in the commemorations held at the Place de l’Université-du-Québec in Quebec City and at the Place du 6-Décembre-1989 in Montreal.